What is the Best Way to Clean and Prevent Clogged Pipes? Oh...there's gunk, even if you don't have a clog yet. Buildup in pipes is inevitable, but clearing can be effortless and relatively inexpensive. You AND Your Pipes Should Have a Holiday. Seriously. No one ever thinks of cleaning out your drains and pipes, except when we get a clog. Gunk builds up inevidably, in every home. Hair, food, sticky yuck, fat etc. There is a totally effortless (and inexpensive) way to clean out all the drains and pipes in your home, while you're away. In fact, it's best if you take that holiday! There is an old product that just keeps working better than the rest, to prevent plumbing problems, clogs, smells and septic issues. It's no regular drain-o and works differently than those toxic brands that can burn through pipes and drains. 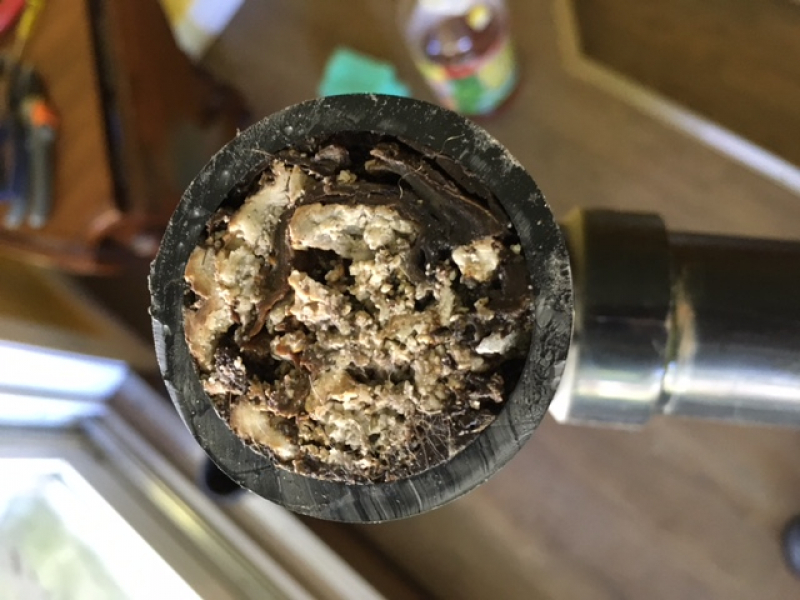 Bio-Clean is a combination of natural bacteria and enzymes that Digest dead organic waste found in your plumbing system: grease, hair, soap scum, food particles, paper and cotton. Bio-Clean will not digest or effect inorganic materials such as metal or plastic pipe. It does not produce heat, fumes or temporary boiling like chemicals do. When mixed with water, and left alone, Bio-Clean immediately goes to work. The enzymes are very fast and start breaking down waste on contact. Unrestricted by gravity (like over-the-counter brands), they spread through the entire plumbing system, devouring all waste. All the way to the septic bed or sewer. So Plan for a weekend away, add one scoop ($0.49) to each drain and let the 'munching' begin.